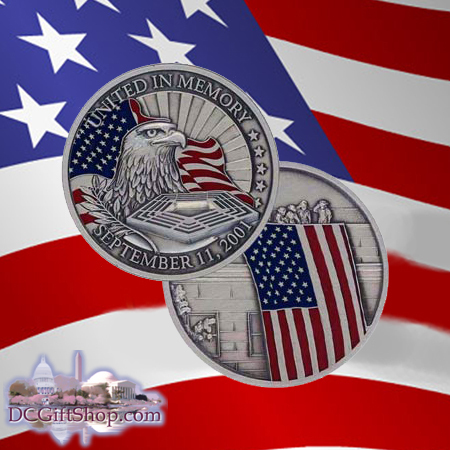 The United In Memory Commemorative Coin serves as a patriotic reminder of all the men and women who lost their lives on September 11th and the brave soldiers who fought the "War on Terror". The front of the coin shows the Pentagon, American Eagle, and the American Flag with the words, "United in Memory" and "September 11, 2001". The back of the coin shows an image of the American Flag being lowered over the side of the Pentagon. 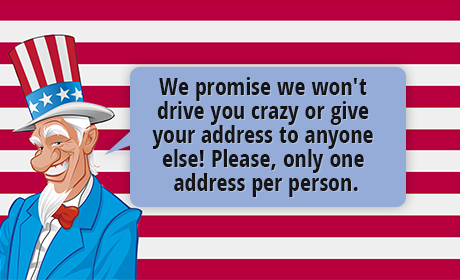 The coin is nickel silver with colored American Flags and is approximately 1.75 inches in diameter.